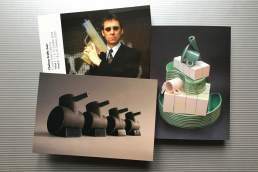 Welcome to my online shop. 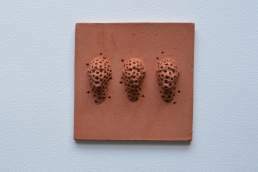 If you are interested in buying a piece of my ceramic sculpture these will increasingly be appearing here. 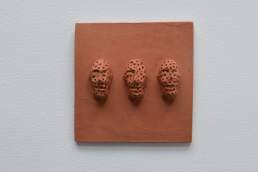 An unglazed terra-cotta 10cm x 10cm tile, showing three faces with square indents.